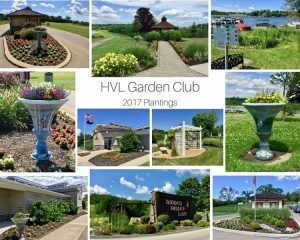 The primary goal of the Hidden Valley Lake Garden Club is to foster members’ interest in horticulture, gardening, and flower arranging. Educational demonstrations, programs and tours are arranged throughout the year for members’ enjoyment. 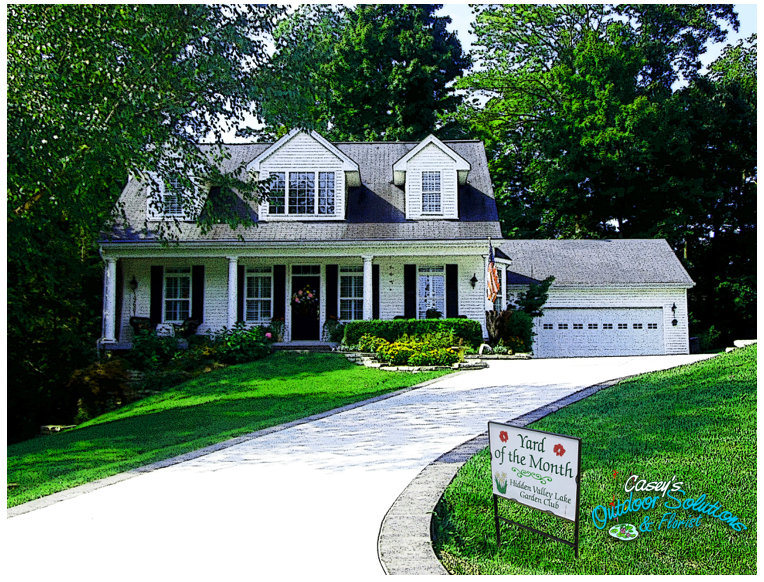 To encourage and promote community beautification, the Garden Club presents a Yard of the Month award to homeowners with especially attractive landscaping. 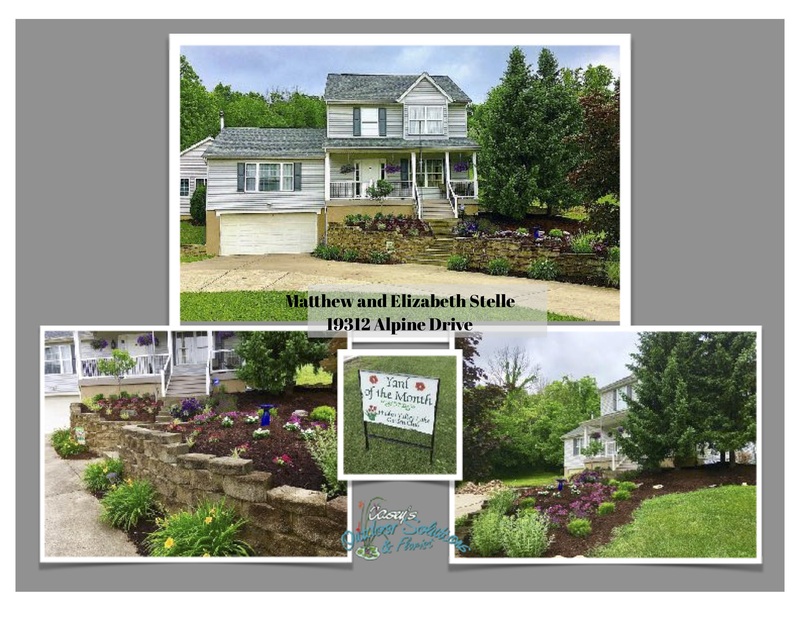 Look for the yard signs from May to October, recognizing residents whose landscaping efforts have improved their lots as well as the community. The Garden Club also promotes fellowship among the women of Hidden Valley Lake by sponsoring luncheons, a pontoon party and field trips. We extend a gracious invitation and welcome to all new members. 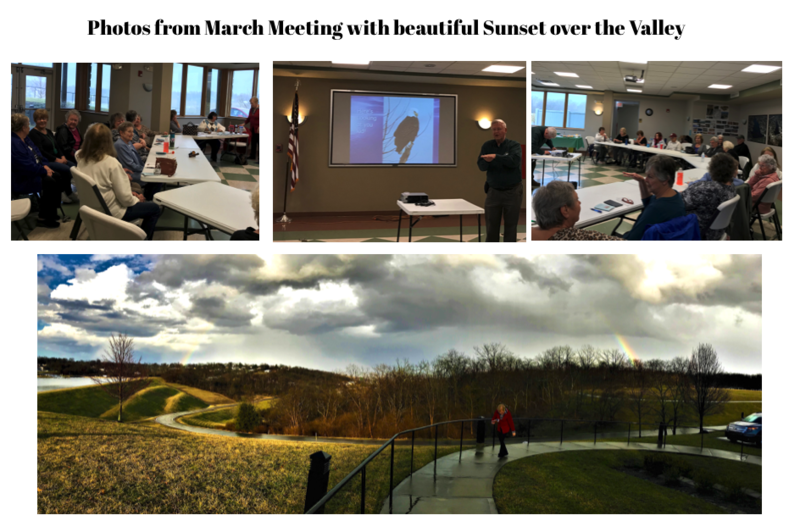 There were 17 members and 5 guests who met in the community center for the March 14thmeeting of the Hidden Valley Garden Club. Jon Seymour from Oxbow Inc. was the guest speaker. President MaryAnna Taylor opened the meeting with the pledge of allegiance and the recitation of the gardener’s prayer. 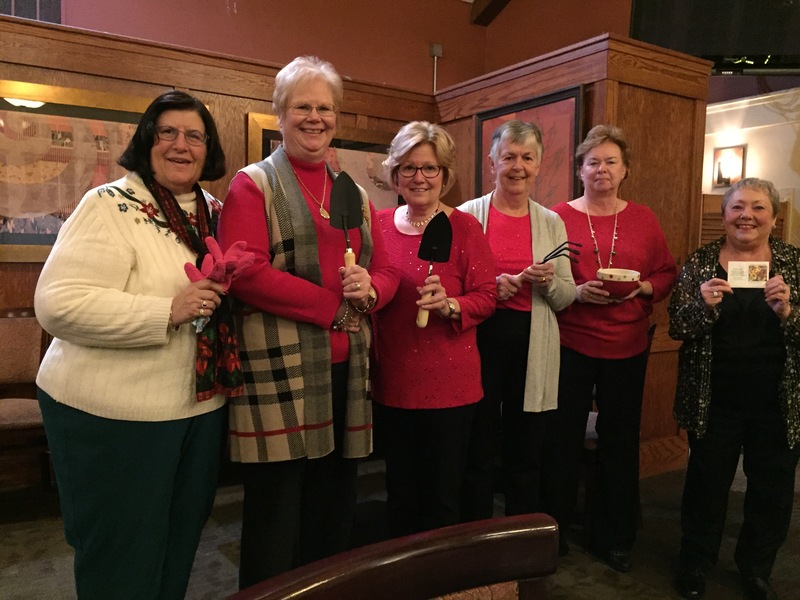 She then thanked the hostesses, Carol Morman, Marti Sharpe and Kathy Minteer. MaryAnna also contributed treats for the evening. The minutes from the Feb. meeting were read and Carol Morman made a motion to accept them. Sandy Alderucci seconded the motion and it was passed by members. Jane Ulrick then gave the treasurers report and said it would be filed for audit. Sharon Hornung reported that the audit on the 2018 books was finished and everything was in order. Valerie Lewis told members that the Valentine treats were greatly appreciated by the staff and residents of Ridgewood. She then reminded members that the speaker for the April meeting would be Pat Hawkins. Pat will be discussing container gardening. 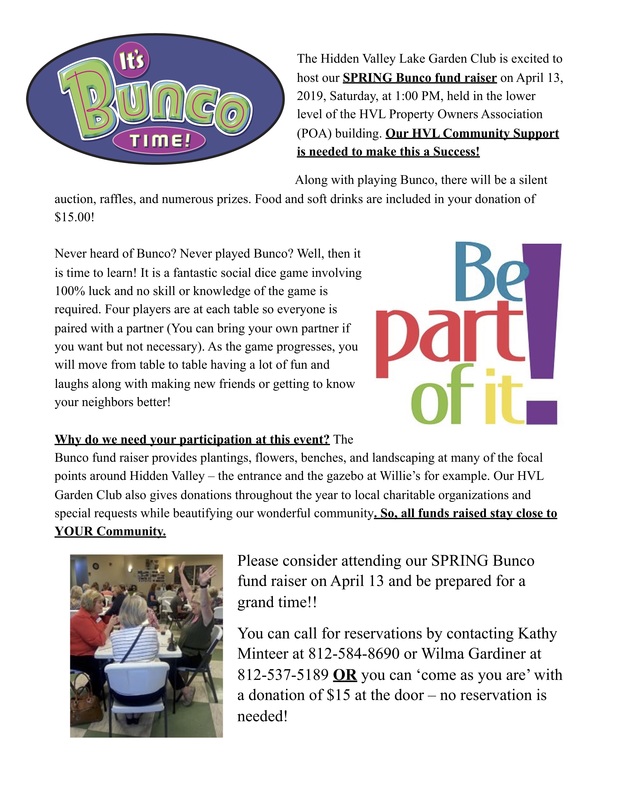 Old Business: Kathy reported that everything was on track for the April 13thBunco party, although a few more donations for raffle prizes were needed. New Business: Members expressed concern about getting the weed preventer so that it could be applied before the weeds start emerging. MaryAnna said she would check on that issue again. As there was no further business, Judy Kay made a motion to adjourn. Claudia Richardt seconded the motion and it was passed by members. Meeting adjourned. There was a short break to sample all the snacks and then MaryAnna introduced Jon Seymour from Oxbow Inc. Oxbow Inc. works as a non-profit organization to help preserve the area around the Great Miami River floodplain. Visitors ca enjoy bird watching, kayaking, hiking and fishing, as well as photographing a wide variety of birds and plants. It was a very informative presentation about a little-known treasure so close to Hidden Valley. Speaking for all Garden Club members, this was a very difficult choice being there were more than 300 beautifully decorated homes throughout the Valley. 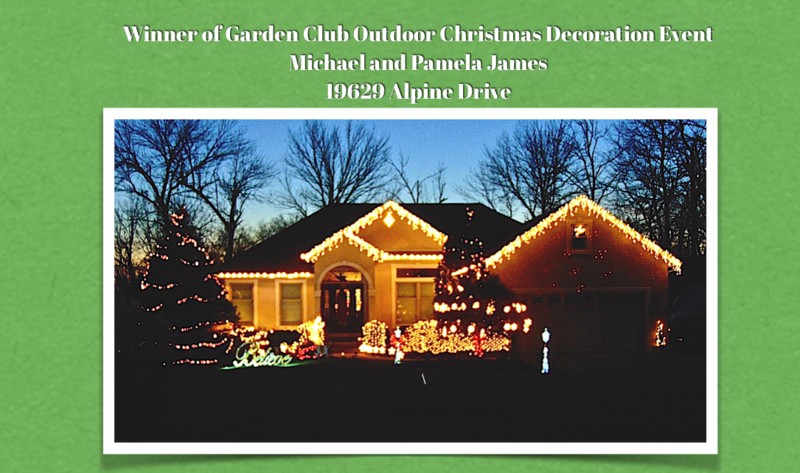 This year, we chose a traditional, classic style as our winner of the Casey’s Outdoor Solutions Gift Certificate. We would like to thank everyone who demonstrated Hidden Valley Tradition by creating exciting, fun and memorable outdoor lighting displays. Congratulations to Brenda and Joe Isadore on GolfView Court. 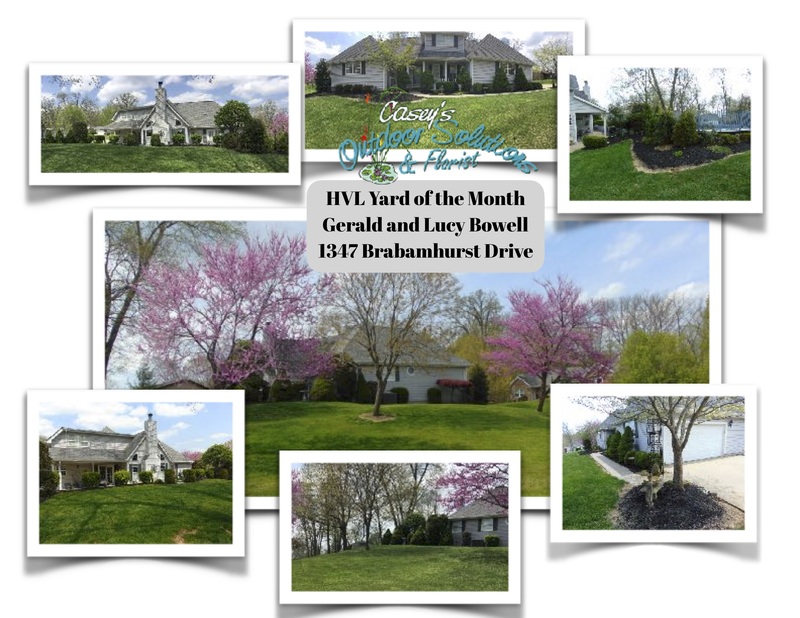 They were awarded Yard of the Month having a simply meticulous front and back yard. Overlooking Hidden Valley Golf Club, the back yard landscaping with the beautiful outdoor seating is simply beautiful and extremely comfortable. Thanks again to the generosity of Casey’s Outdoor Solutions and Florist for donating a $50.00 gift certificate to them. 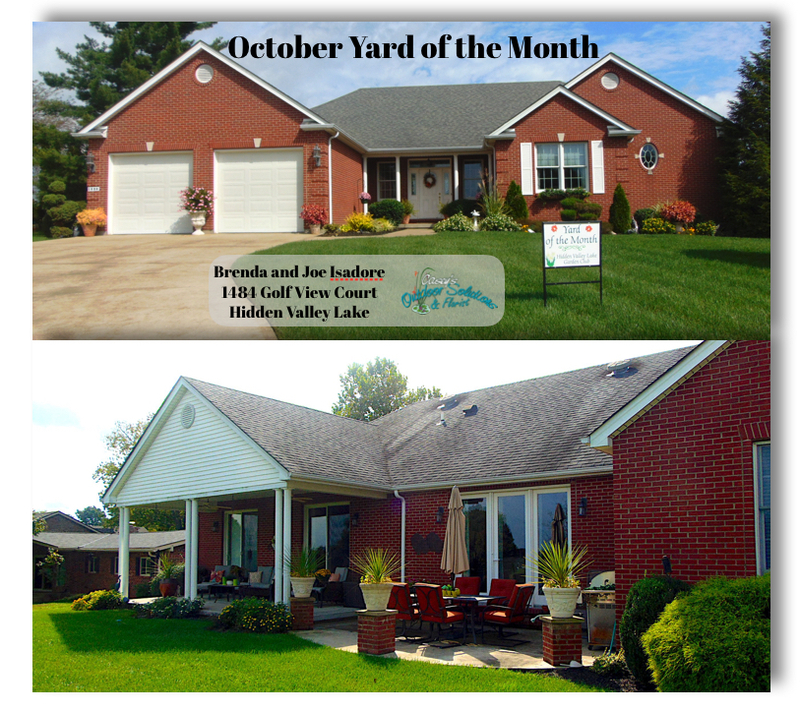 Congratulations to Kathie and Gary Schmid of 19681 Knollwood Drive upon receiving the September Yard of the Month award. The Schmids have lived here in the Valley for twelve years. In fact, their daughters (and families) reside in this community also. And, according to Kathie, she wouldn’t live in any other place! Their manicured lawn and very attractive home is welcoming to the eye. Thanks to the generosity of Casey’s Outdoor Solutions and Florist for donating a $50.00 gift certificate to them. A beautiful home in every aspect. Impeccable lawn,gorgeous hanging plants throughout, beautiful fire pit surrounded by a comfortable seating area and outdoor fireplace. When you think of Hidden Valley Lake, this home’s exterior decor is synonymous with the living style we all love in our valley. 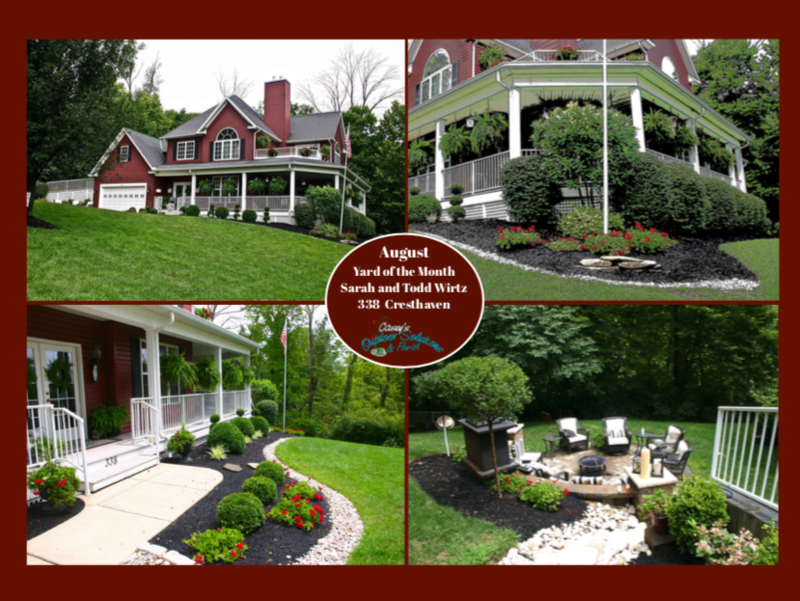 That is why we awarded Sarah and Todd Wirtz, Yard of the Month. 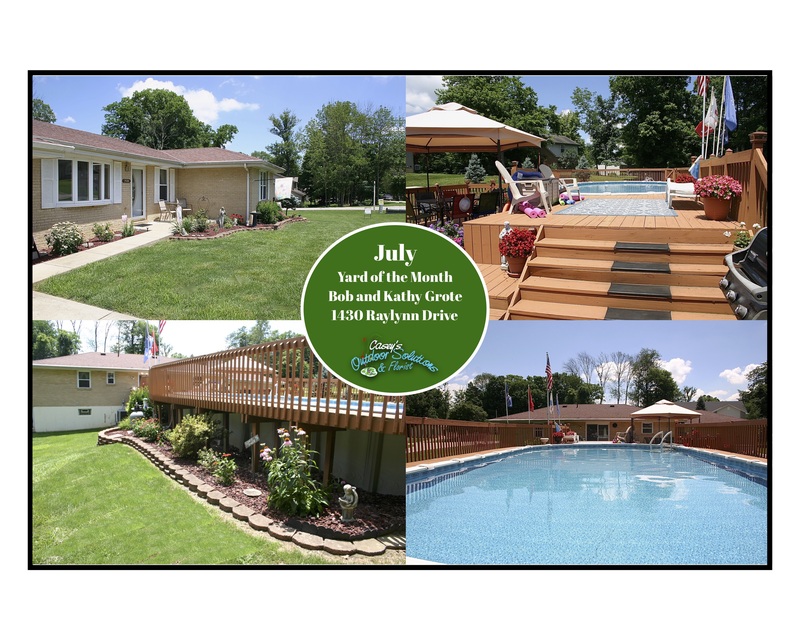 Casey’s Outdoor Solutions gave the Wirtz’s a $50 gift certificate in appreciation for such a beautiful yard. The Stelles were awarded a gift certificate from Casey’s Outdoor Solutions. The Bowells were awarded a gift certificate from Casey’s Outdoor Solutions. Mon – Thurs: 7:30 a.m. – 5:30 p.m.
Sign up to receive the latest news and updates from Hidden Valley Lake.